From now through December 31st, we have a ton of fantastic artisans offering handmade and eco-friendly gifts in the Mistletoe Market at Community Forklift. 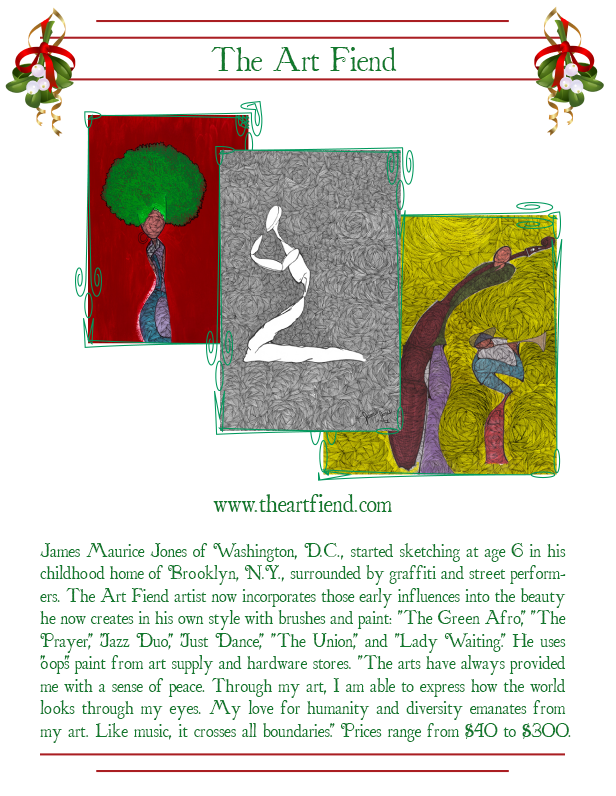 This afternoon, we are featuring Washington, DC based artist James Maurice of The Art Fiend. You’ve got to come see these in person – these pictures can’t capture how vibrant and beautiful his work is!